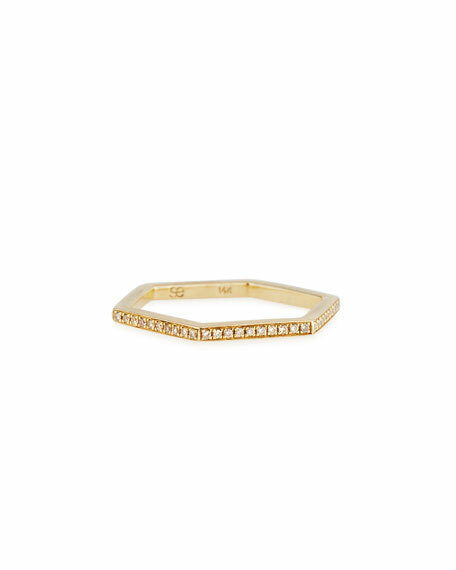 Sydney Evan hexagonal stacking ring. Eternity band with stones going all the way around. 0.2 total diamond carat weight. For in-store inquiries, use sku #2161080.